Our goal is to balance eco-friendly with Customer satisfaction while printing Decals that are affordable and high quality. What is a cutout Decal? 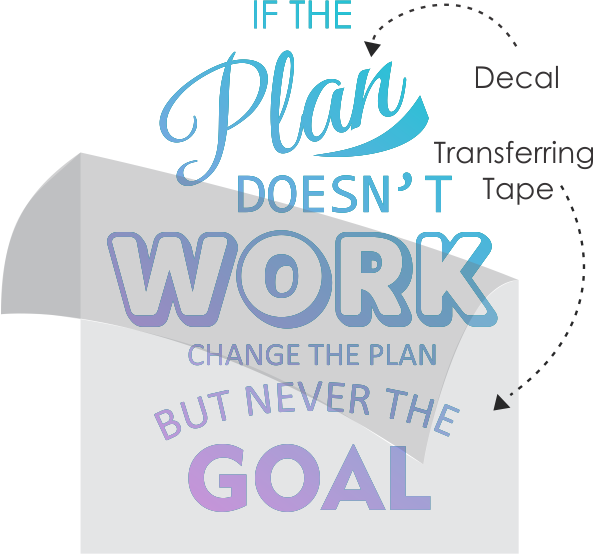 Decal is a vector design printed on a vinyl adhesive sheet and cut to shape to transfer to any flat surface such as wall, window and floor. Once cut the design is weeded by hand and applied the transferring mask for easy installation. 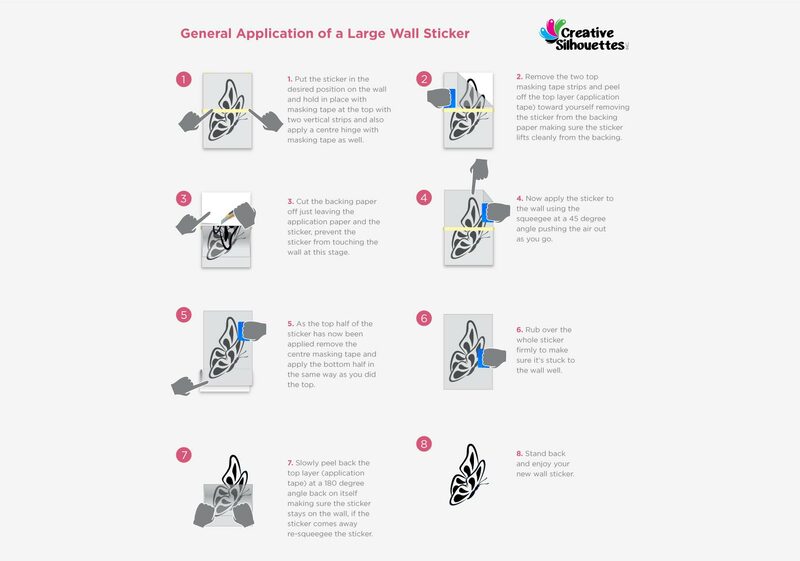 Our wall decals are removable but not reusable and won’t damage the surface in most cases however if you are planing to removing within 6 months, it’s better to test a small sample first. What company do we use to ship our decals? We use Canada Post as our main shipping company. We use flat shipping rate of $15 to make it easier to our online clients. Our shipping service is standard expedite which takes 1-4 business days in most cases, however, there might be a delays that are out of our control. If you need express shipping please contact us over email and arrange for pick up on any of our locations. How do we pack our decals and sticker? We use recyclable boxes (10″ x 10″ x 54″) for the large murals and large wall graphics, recyclable tubes (4″ x 4″ x 10″ -40″) for the mid sizes decals and envelopes for the small decals and stickers. How long does it take to get my print done? It usually take 1-4 business days to produce and ship online orders, however depending on how busy we are it might take an extra day. If you want to make it faster and easier, please upload the file in PDF vector and order online. If I order by sending an email will the price be the same? No, orders by custom quotes are min. $85 and $20 for shipping, which means if you need a decal 5″ x 5″ and don’t want to order online it would cost $85 + +20 Shipping. The reason for the min. price is due to the extra work we have to put into your order, invoicing, creating shipping labels, proofing, production schedule and when you order online it’s all done automatically. How long does it take to get back to me with my estimate? We are very fast in estimating and you should hear from us within 1-4 business days, sometimes by the same day. What are my options for installation? If the decal is small you can follow the instructions and you should be fine, if the decal is large we would advise contacting us to install it for you which is a min. of $125 and we can install in most cities in Canada. We try to make as easy as possible to install, using quality vinyl and installation instructions, however, we are not responsible for any poor installation and damaged walls that are made by our clients.